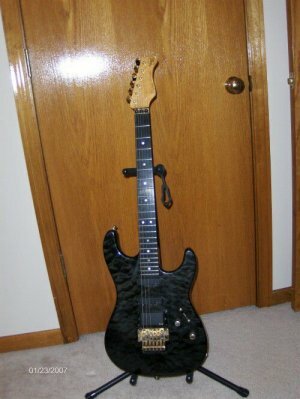 I bought this guitar at (now defunct) "Worldwide Music" in Raytown, Missouri in November of 1992. 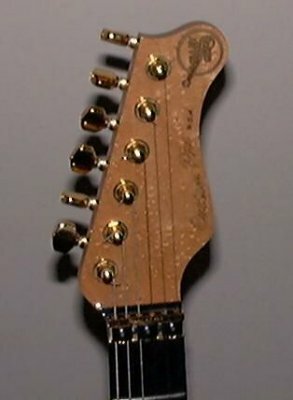 The guitar is still 100% factory stock.....no modifications whatsoever. It's translucent black in color, ebony neck, quilted maple body. Still has the most beautiful neck I've ever seen. EMG pickups and a Kahler tremolo (it's only flaw) I have played this guitar in countless gigs and church services........Never have I owned a guitar that is more playable and such a variety of tones....The guy at the store where I bought this guitar told me to hang onto it because it was one of the last of the California-built guitars built by VA.